Having been a nurse for 37 years, Ellen McPake happily confesses that she is no ‘digital native’. In fact, she says she’s not very good with technology at all. But as Macmillan Cancer Support’s first digital nurse, she is a pioneer in harnessing the power of the internet to ensure it is a force for good. Her role was created in response to fears that cancer patients were turning to the internet for information about their condition and treatment – and that they were at risk of finding bogus information on unverified sites. Part of her job is debunking the myths and the harm that can come from them. ‘The internet can be a great source of information, but it can also frighten people and put them at risk,’ she says, citing websites that say chemotherapy is more likely to kill you than cancer, for example. The problem of unverified health information that worries, gives false hope or even kills patients is not new. History is littered with vendors of quack cures. But the internet age has meant that such information is ubiquitous – and dangerous websites can be just a couple of clicks away. This is something that concerns Enid Povey. As clinical lead for NHS Choices, her remit includes responsibility for Behind the Headlines, a guide to science that makes the news. Essentially, if you see a headline about a piece of health-related research in the media, chances are the team at Behind the Headlines will be working on a clearly written analysis of the facts behind the stories. It’s a ‘dream job’ says Ms Povey, a nurse, who previously held senior roles with NHS Direct. Behind the Headlines summarises the stories; gives the source of the information, for example, a peer-reviewed journal; gives a verdict on how it has been reported in the media; and comes to a conclusion on how true or important a story is. Examples from one day - 23 November - include research on the health benefits of coffee and figures on the number of heart failure patients. NHS Choices’ own research shows that people trust it and will choose it above other sources, even if it is not the top item that comes up under a Google search, she says. NHS Choices is also a hugely important resource for health professionals, she says, especially when they are asked about stories in the press, or information that a patient has found on the internet. ‘Most nurses are used to looking behind the news – it’s part of their role all the time,’ Ms Povey adds. The Department of Health has an ‘information standard’, a form of accreditation for trusted sources of information. Many charities have this ‘kite mark’, including the Alzheimer’s Society, which has a well-respected website containing a wealth of knowledge and information for professionals and patients and families, as well as running an online support community. Head of advice services Erika Aldridge acknowledges that the charity itself has a responsibility to ensure its information is up-to-date and evidence-based, across all its networks. Providing that trusted source of information is particularly important for dementia, she says, because there is no cure and limited treatment options – so people can be desperate to seize on any news story that gives them hope, however inaccurate. ‘Condensing lengthy research projects that have taken years to co-ordinate into a front page headline means a lot of the finer detail can be lost,’ she says, warning that information can be presented out of context and ‘sensationalised’. 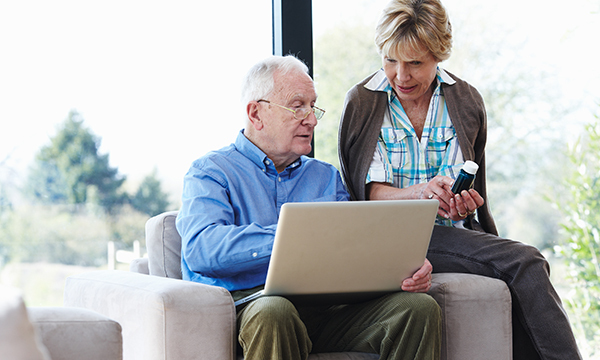 Like the Alzheimer’s Society and Macmillan, Diabetes UK runs an online forum providing information and peer support for people with diabetes and their families. Clinical adviser Kathryn Kirchner says it’s an important resource, as is the information available across the charity’s website. ‘People usually have limited contact with health professionals, so are responsible for the day-to-day management of their diabetes,’ she says. ‘The internet is a primary source of information and people have the opportunity to look at it at a time and place to suit them. But there are risks: anyone can write anything. The forum is monitored and moderated by volunteers and by Diabetes UK staff to ensure that incorrect information is not presented as fact – for example, the ‘miracle’ cure from following a certain diet. The charity does not actively remove information unless someone is giving out dangerous advice, she adds. At Macmillan, a large part of Ms McPake’s job is co-ordinating a virtual multi-disciplinary team to answer questions from patients and others about cancer. For example, November had a particular focus on head and neck cancers. ‘Sometimes the most appropriate person to answer will be me; sometimes it will be an oncologist, or a speech and language therapist,’ she says. ‘We don’t have medical notes – just what they tell us – so that can be challenging, but it’s interesting too. But one of the first things that she has had to do is dispel misconceptions about her new job title. ‘Some people ask if a digital nurse is a real person or a robot,’ she laughs. ‘We’re not robots! Consider where the information has come from. Is it a peer-reviewed journal or a trusted/verified website? Consider when the information was published – does it take account of the most up-to-date research? Cross-reference – has the information come from more than one source? Look at the source, for example, a research paper. Was it carried out at a respected institution; what sort of research was it (for example, a randomised controlled trial, a review of evidence); how many people did it involve and does it fit with the trend of evidence, i.e. are the results in line with other studies or not?